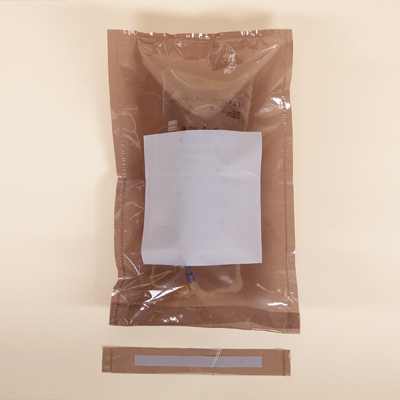 This light amber IV fluid bag cover blocks 90% of UV light making it ideal for when patients are receiving light-sensitive drugs from a drip. The white areas on the bag provide a surface you can write on as well as an area that can tear off as a receipt. The bag promotes further patient safety by being tamper evident.